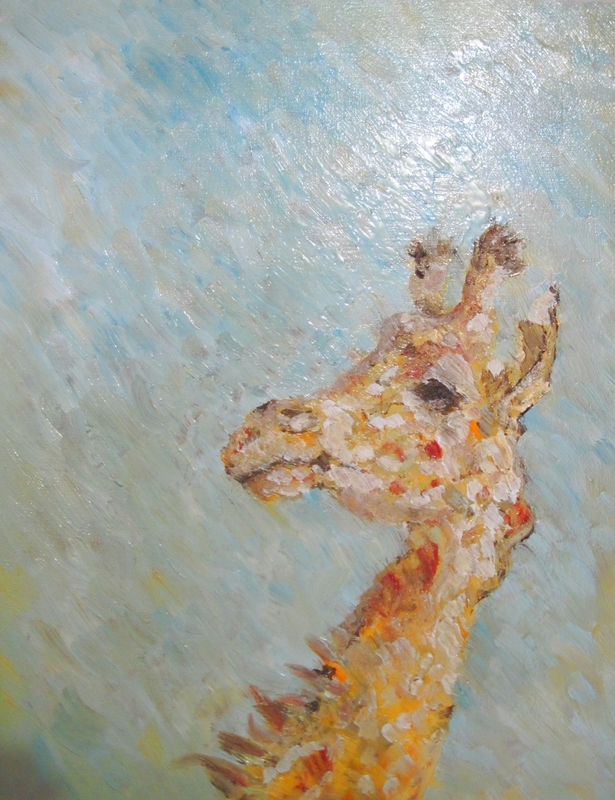 Portrait of a giraffe. Oil on wood, 14" x 18". Original work available for USD800.